Noida Weekend Calendar | September 08-10 - Noida Diary - Rediscover Noida With Us! Get Set for a great weekend! Here is a list of some exciting things to do in Noida that will get you into some sporting action, tingle your taste buds and get you shake a leg too. Check the Noida Weekend Calendar | September 08-10, 2017! Ultra Music Festival was once just a beach party in Miami. Since then, it has expanded to locations like Ibiza, Spain; Seoul, Korea; Tokyo, Japan; Hvar and Split, Croatia; Singapore; Rio de Janeiro, Brazil; and more. The new additions this year are New Delhi and Mumbai, India along with Shanghai, China. The most blasting acts around with Dirty Saffi & Psymmetrix of Bom Shanka music from UK performing Live. Supporting acts by Psykotose (Wildthings / Control Change Records: India ), Psydel Corrupt illusionist ( Fractal Waves Records ). Get ready with your dancing shoes to blast Bom Shanka style! The event by Control change records & born to create events in association with Vh1 India sure gonna rock!! Relax and get ready to make your soul groove to the musical talent of Vivaan. Find yourself infected with the Bollywood fever and dancing, singing and grooving along with the talented young singer performing live. The melodious Shipra Bagh is coming back to Noida Bar Exchange this Friday to enchant you with her magical voice. Bring your dancing shoes along as Shipra will be will be belting out back to back Bollywood hits. The drinks being cheap will be an additional boost to let your hair down and dance the night away. Dance more to make yourself feel alive every time. DJ Prashant is all set to drag you to the dance floor to set the dance floor on fire. Be ready to move uncontrollably to the known tunes and beats. Celebrate your weekend in style with DJ Ankush spinning some of hot favorite numbers as you groove to the music. Dance to your favorite Bollywood songs as DJ Dipika brings the house down with some of the most groovy mixes this Saturday at Noida Bar Exchange. Get immersed in enchanting and mysterious musical vibes and enjoy cheap-flowing drinks at your favorite party place in town – NBE. Super Saturday Night with biggest DJ lineup – DJ Diva, DJ Akki, DJ Sid, DJ Prashant, DJ Jatin, DJ Shill with the resident DJs – DJ Ellen D, DJ Ragzz, DJ Nitin and DJ Saleem. Couples entry free till 11.30 pm if reservations made and their names feature on the guest list. A mega event which will be an unparalleled opportunity for the population of Delhi/NCR to explore the wonderful products, art, culture, heritage and opportunities in the North-Eastern India. A showcase of everything from the region from food to handicrafts, handlooms to music and dance. Also a platform for the promotion of Business and entrepreneurial activities in NE and offering of partnership opportunities in the NE to the rest of the nation. Celebrate International Literacy day 2017 with Rayz International Preschool and join their free storytelling session conducted by Your Story Bag Studio, as part of Pratham books initiative – ‘One Day-One Story’. 3D origami is an art form where thousands of sheets of paper can be folded to create one sculpture. The folds can be either simple or striking, creating beautiful and complex pieces of art. It’s hard to imagine, but such models are usually made without a single drop of glue. The land of Odisha (Orissa), has a very rich religious culture and this is reflected in the food as well. This COMMEAT’s table is all about the beautiful spread from Orissa, prepared by our Home Culinaire, Ayandrali Dutta. Shaheed Bhagat Singh Sena organizing a race where the children from under-privileged section of society will participate. Join them as they revel in the joy and sporting spirit. Possibly will be there at India Gate for North East calling program . 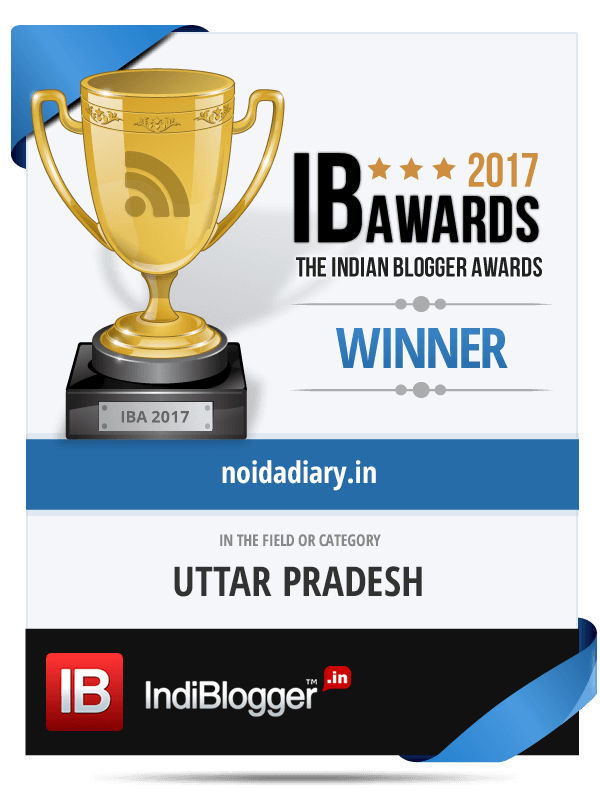 Your Noida Diary is a very important tool to get all the info about events being organizing in Noida and Near by places. Thanks for the info’s. Do visit ” North East Calling ” fest.